It sounds counterintuitive, but it works. Most of us tend to think of stress as something that’s inherently bad. It’s a sign of a lack of self care; it’s a sign of over-working; it’s a scapegoat for personal and professional dissatisfaction. And because of all that, we think we should seek to never feel stress in our lives. We feel like we should always be trying to avoid or combat it. The truth, however, is that we as human beings experience stress for very important reasons. As you may remember from your middle school science classes, stress and panic are reactions we developed over time to help us stay alive in the face of dangers like hungry saber-tooth tigers. The sort of electric creep we feel in our guts and in our head when we’re stressed? That happens to let us know when we should fly or fight. It’s an aspect of our design. Of course, in today’s world, there are very few animalistic dangers that we need to stay instinctually on guard for. But we can still put our stress to good use. In fact, that’s something most successful people already do. 1) When the stress comes, acknowledge it as powerful. Stress compels people to do extraordinary things. Back in the day, it compelled us to run and hide. Today, it can compel you to confront a co-worker or address controversy. Stress, in other words, compels action. It can act like a source of fuel. Even though the energy it inspires is often negative and can be overwhelming, it’s still evidence of our body preparing us for something; it’s still energy. One step toward using stress to our advantage, then, is recognizing it for the powerful thing it is. When it comes — when you feel it — acknowledge it. Allow yourself to feel it. That’s the only way you’ll be able to identify the stress for what it is and either combat it if you need to, or use it to your advantage. 2) Once you’ve acknowledged it, ask yourself: is this true? When we were living in caves, you better believe stress was something everyone paid attention to, remained on high internal alert for, and trusted. Today, however, the stress we feel is often not so directly correlated with impending danger. Which is why once you’ve identified your stress as the powerful, natural thing that it is, the next step in harnessing it is to ask yourself: is what I’m feeling right now true? Is the anxiety I feel right now — my concern over not making enough money, or my wife leaving me, or losing my job — founded in reality? In most cases, it’s not. Meaning you can prove it wrong and instead use it to your advantage. That leads us to our next step. 3) Figure out where you really want to go. Once you’ve corraled your stress in order to harness it, your next move is to determine how you’re going to use it. To do this, you must ask yourself: where do I want to go? What do I want to do? Do you need more money, a better relationship, or do you want to improve your abilities at something? Channel the otherwise useless stress you’re feeling today and use it to help you achieve those goals, whatever they are. Use it as a kind of gasoline for your ambitions. It is very much an energy source, but that only helps us if we have concrete goals in mind. If de-weaponized stress is a source of fuel, in other words, it will only prove useful to you if you have some place to go. You need a destination. 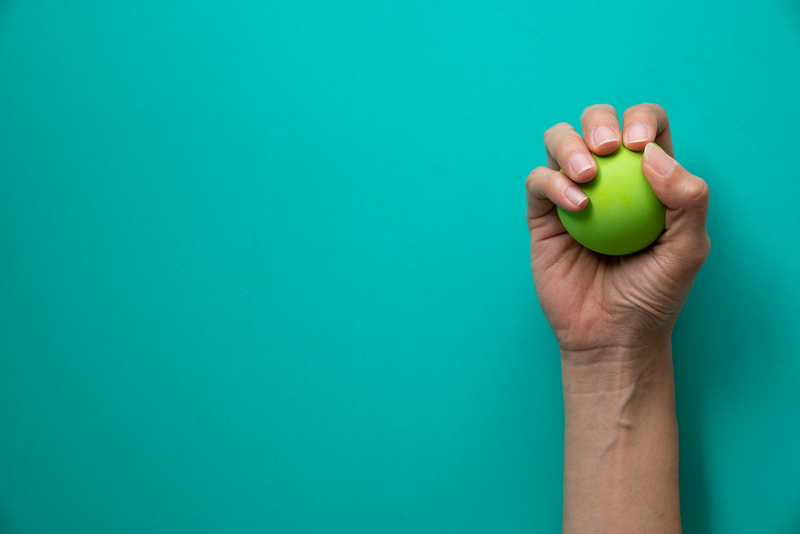 If you convert stress into a superpower, you’ll be surprised at just how far it can take you. It’s true: when you allow stress to fester and you don’t confront it or try to harness it for energy, it can be very harmful. It can make you unhappy and anxious, and it can hold you back, both personally and professionally. In fact, it shouldn’t. It’s incumbent upon us to convert it into an energy source that we can use to improve. If you work hard enough at it, you can even convert stress into a superpower — a driving force for change and action.